Widely used by professional rescue services. Reliability you can trust! Ideal for heavy use, sturdy, this boat is equipped to hold all of your gear (in lockers, storage compartments, under the seats). Easy to steer, very maneuverable, the New Matic 400 comfortably holds up to six people on board in total security. Available in console version as well. This is the first choice rescue boat for fire services in France and across Europe. The New Matic 400 is a reference point for all rescue services and will withstand regular and intensive use. The large central and forward lockers are designed to carry all the lifesaving kit you’ll need. 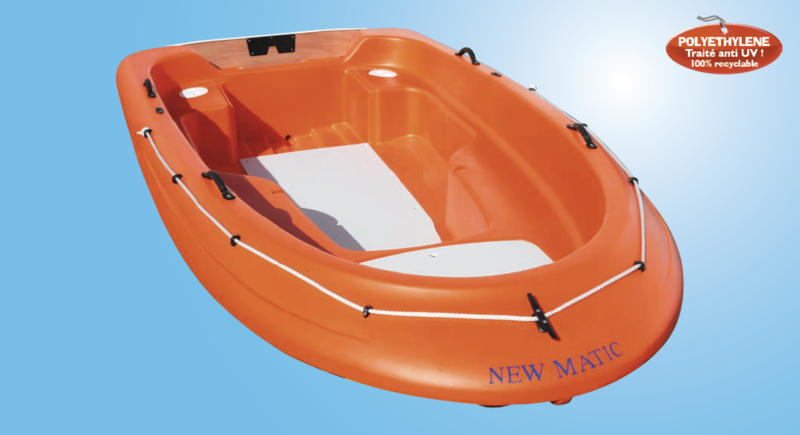 The boat is very easy to pilot and will comfortably and securely take up to 7 passengers.